The SL 350 and post by Dream wheels (dwheels.blogspot.com ) Factory. The feisty new SL 350 sports engine boasts high speeds, sonorous engine sound and more then enough power to deliver pure driving pleasure. At the same time as enhancing power and performance, we have succeeded in reducing CO2. When the world saw the first SL in 1954, its lightweight, aerodynamic body did more than set a new standard. It served proof that icons are born from lasting brilliance. Today, the advanced engineering and timeless proportions of the SL convey the thrill of acceleration, the acceleration of progress, and the enduring soul of a sports car. The SL-Class unites its two passengers in a sporty, elegant cabin that simultaneously lets the driver and car enjoy their own special connection. Twin heated and Active Ventilatedseats, an abundance of top-stitched leather and polished wood, and advanced Audio andNavigation set your spirit free to take on the world, or leave it all behind. The SL 350 having V6 3498 CC and rated out put is 316 Hp at 6500 rpm . the torque is 360 Nm at 4900 rpm. 350 is rear wheel drive and 7G- TRONIC. The SL 350 will reach 0-100kph in 5.3 sec. and Top speed limited to a 250kph. A low seat position, a grand feeling. 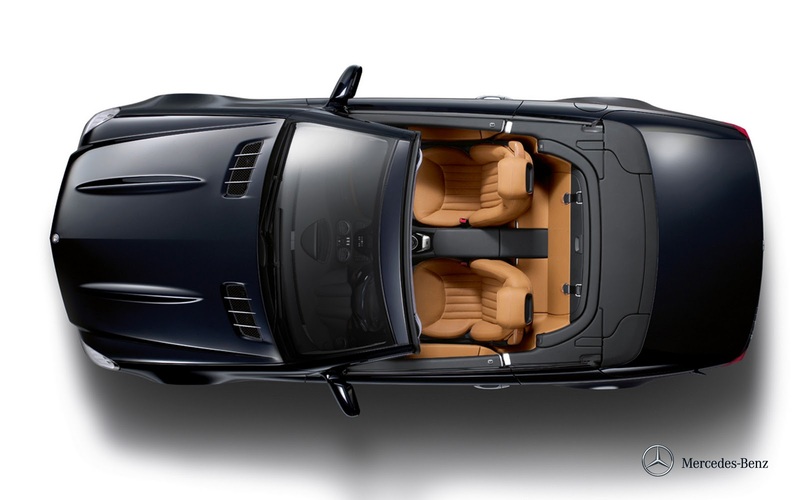 The eye wanders over the long front stretch of the roadster. The powerdomes suggest the power that lies beneath. A slight movement of your foot is all it takes shoot off, leaving metres of road behind you. And for everyday life, the SL shines not only due to its handling but with design elements such as side gills in the body colour. With an even sportier design for the front and rear assembly and exclusive paint finishes. New attractive wheels round out the look and make for a complete sports car, one that won’t let you go before you set it loose. Some athletes are happy to just take part. Others are there to win. The SL with the Sports package falls into the latter category. 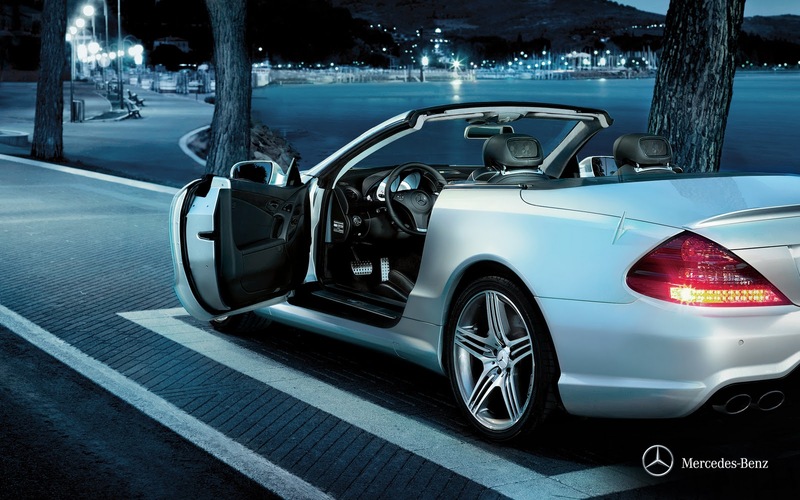 The package is available for the SL 350 model. Visual enhancements include 5 - twin – spoke light - alloy wheels as well as darkened headlamps and tail lights, while the braking system features perforated front and rear discs along with painted callipers – ready to provide maximum deceleration. The 7G - TRONIC Sport automatic transmission and steering - wheel shift paddles allow extremely fast gear changes, with the ratio offering the best acceleration being selected straight away every time. It feels good. 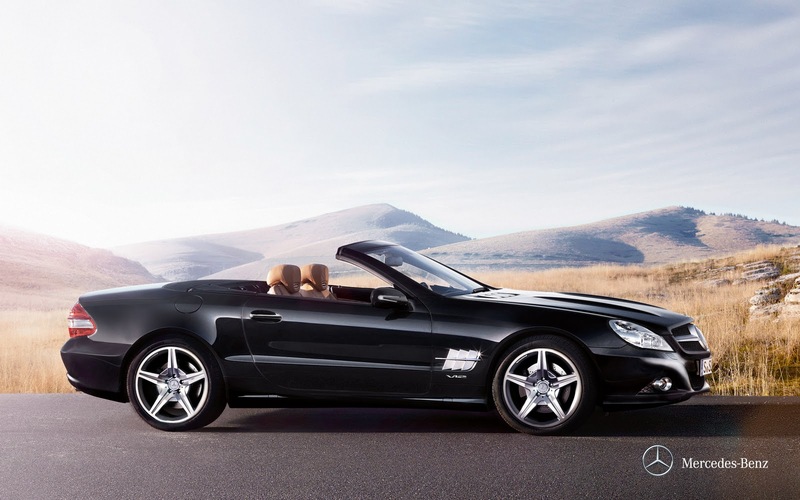 And it sounds good too – thanks to the sports air cleaner developed specifically for the SL 350. The refined sportiness of the SL allows you to experience a whole lot more in addition to the sporty drive. With both hands on the racily designed 3 - spoke sports steering wheel trimmed in high - grade nappa leather. Not only does it look dynamic, it also lets you change gear extremely quickly courtesy of a paddle on either side. As well as being sporty, the SL interior boasts an exclusive wood, aluminium or carbon - fibre trim and softly grained leather appointments. What the SL with the Sports package promises on the outside is delivered on the inside: exclusivity and sportiness at the highest level. Starting with the black leather appointments with silver contrasting stitching. A design element that ensures clear accentuation, it embellishes the centre console, dashboard, armrests and the velour floor mats as well. Without the eye - catching stitching, the grey leather appointments impress instead with their discreetly understated look. In both variants, the steering wheel and selector lever are trimmed in perforated nappa leather, their easy - grip design mirroring the high quality. This unique interior look is enhanced by a prism – pattern aluminium trim that creates a pleasing contrast which is further accentuated by the black roof liner. It all began with an invisible revolution. When Mercedes - Benz unveiled the first car to be designed with passive safety aspects in mind in 1959, the innovations – crumple zones and the safety passenger cell – were invisible to the naked eye. Then airbags and seat belt tensioners – both world firsts – came along. Since then, of course, we have never let up in our quest to always go one step further than required when it comes to safety. Should you have an accident today, sophisticated, efficient occupant protection systems help reduce the risk of injury dramatically. Self - protection is also enhanced by the high – strength safety passenger cell and systems such as adaptive airbags. And if the worst comes to the worst, the roll - over bar can pop up automatically within a fraction of a second. The SL even helps to provide greater safety after an accident, for instance with a fuel tank situated in a protected position ahead of the rear axle, or the automatic engine cut - off function which is triggered after a severe collision. Automatic activation of the hazard warning lamps makes it easier to locate a car which has been involved in an accident. And doors which unlock automatically and are easily opened mean that occupants can be rescued more quickly after an accident. you need reliable sensors that help to detect possible dangers at an early stage. Active components of the safety concept include extremely powerful lights such as the bi - xenon headlamps specifi ed as standard for the SL. The optional Intelligent Light System also includes an integrated cornering light function. They illuminate the road far more eff ectively than conventional halogen lights, allowing you to see much further ahead and giving you a better perspective. All of which makes for much safer driving at night. So there’s no need to be afraid of the dark. Even the most enjoyable of journeys can come to an abrupt end. Now you can continue on your way, even after an emergency stop, thanks to the hundreds of sensors on board the SL. Such as the electro - hydraulic braking system’s which monitor driver and car behaviour on a permanent basis. In critical situations, the pressure in the brake lines is increased and the pads are applied on the brake discs. A push of the brake pedal is then all that is needed to decelerate the SL with the full braking power. In addition, the braking system increases safety when braking on bends and can detect wet road surfaces. It brakes the brake discs dry when required and also reduces the pitching motion of the brake pedal when the anti - lock braking system ABS intervenes to counteract locking - up of the wheels by delivering the brake pressure in short bursts. This means that you remain firmly in control, even in the most precarious of situations. The Electronic Stability Program ESP ® also applies the brakes at each individual wheel as required to assist with the prevention of tail - skids, oversteer or understeer, while Brake Assist ( BAS ) helps to shorten the braking distance. BAS can detect emergency braking and helps to provide the maximum braking power within a fraction of a second. Meaning that the car comes to a halt – and hopefully continues on its way again afterwards – in as short a time as possible. counteracting any possible tendency to skid at the outset. It intervenes in the engine - management and braking systems as required in order to stabilise the car. hard enough. The stopping distance can therefore be shortened by a substantial margin. We've already shown you the rather exciting new Mercedes SL but it's just had its first American airing. Unsurprisingly, it hasn't changed since we broke the news last month. It's still nearly all-aluminum underneath with bits of magnesium in important areas, with the choice of a V6 or V8 powering it. The SL500 gets a new 4.6-litre V8 that pumps out 435bhp, while the 3.5-litre V6 in the SL350 is claimed to be 30 per cent more efficient. Efficiency doesn't mean slow, though - the 500 will reach 100kph in 4.6secs (the 3.5-litre V6 is just over a second behind) and both keep going to a limited 250kph.